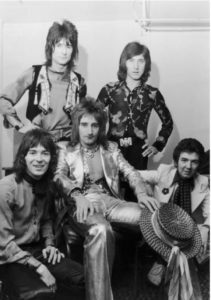 The Faces are an English rock band, formed back in 1969 by members of the Small Faces after Steve Marriott left the group to form Humble Pie. 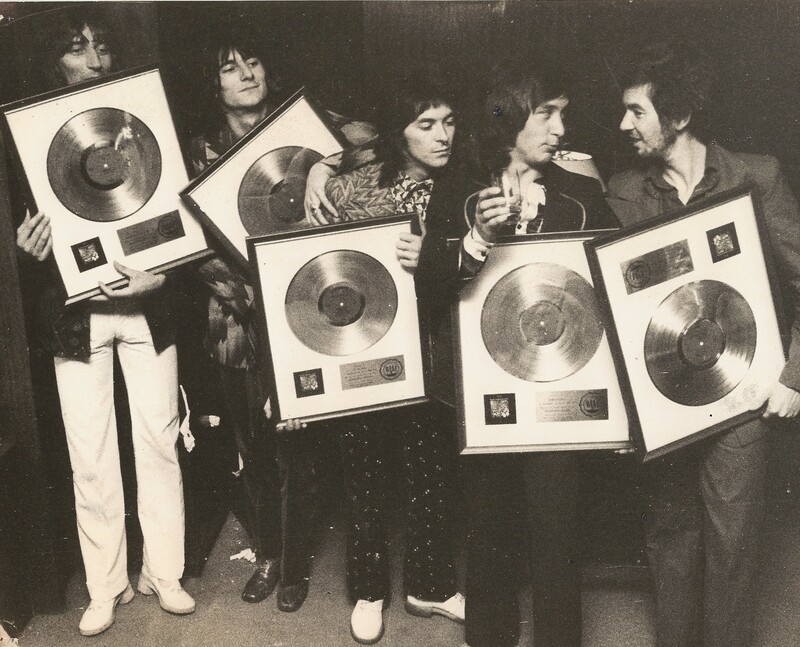 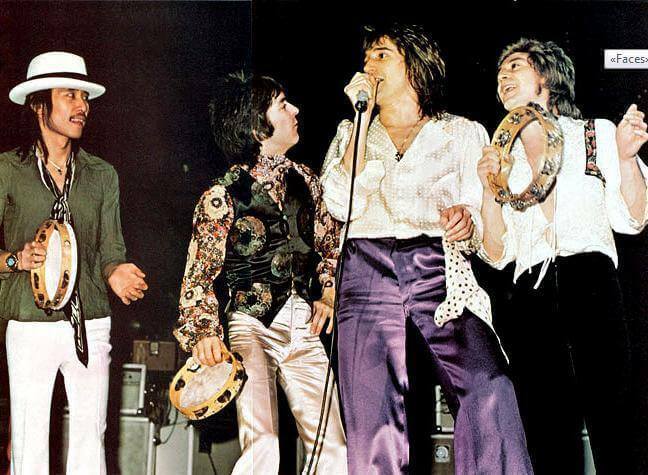 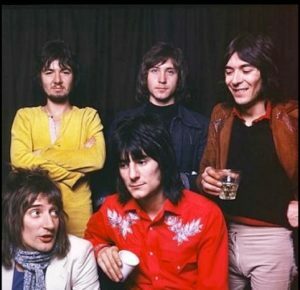 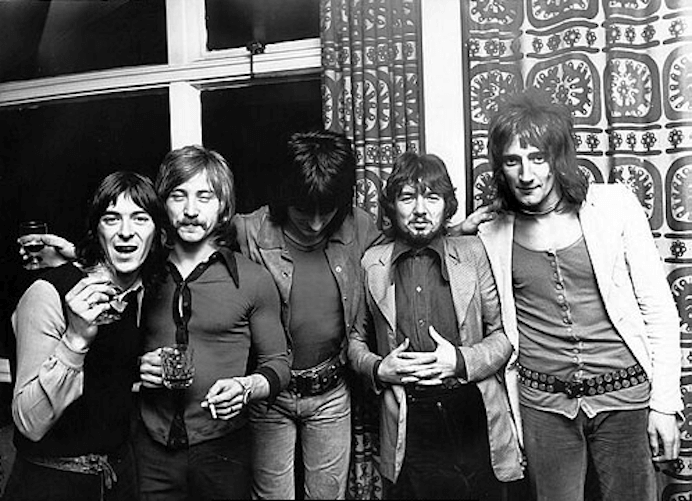 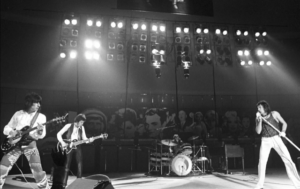 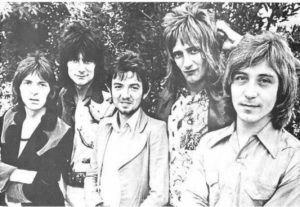 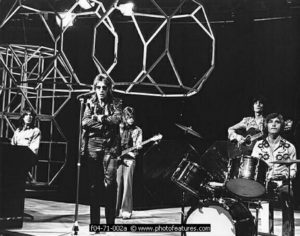 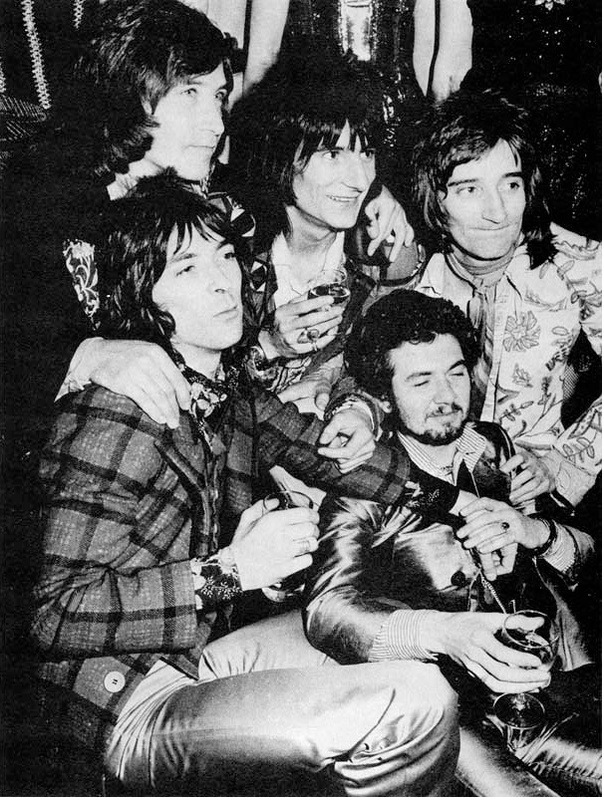 The remaining Small Faces – Ronnie Lane (bass), Ian McLagan (keyboards) and Kenney Jones (drums and percussion) – were joined by Ronnie Wood on guitar and Rod Stewart on lead vocals, both from the Jeff Beck Group, and the new line up was renamed The Faces. The Faces released four studio albums and toured regularly until the autumn of 1975, although Stewart simultaneously pursued a solo recording career, and during the band's final year Wood also toured with The Rolling Stones, whom he later joined. Wood and Stewart parted ways with Beck and joined Lane, McLagan and Jones full time. 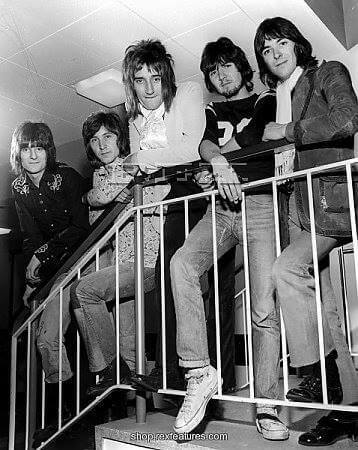 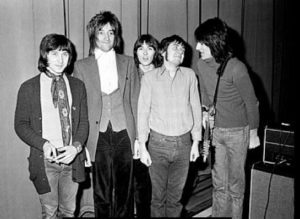 With the addition of Stewart and Wood, the ‘Small’ part of the original band name was dropped, partly because the two newcomers (at 5’8” and 5.9” respectively) were significantly taller than the three former Small Faces. 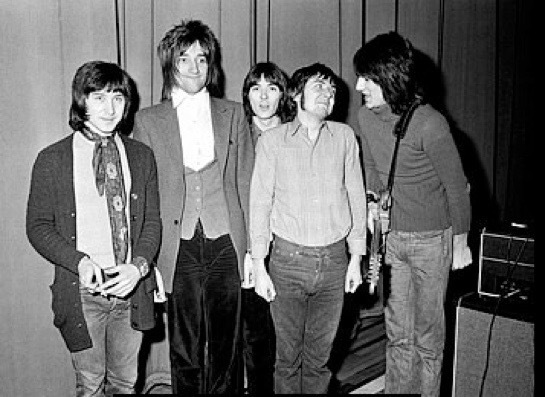 Hoping to capitalize on the Small Faces earlier success, record company executives wanted the band to keep their old name; however, the band objected, arguing the personal changes resulted in a group very different from the Small Faces. 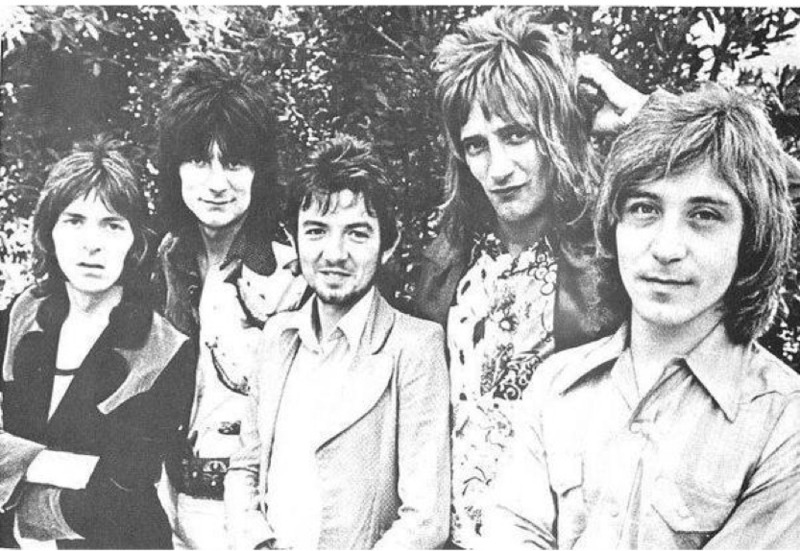 As a compromise, in the US their debut album was credited to the Small Faces, while subsequent albums appeared under their new name. 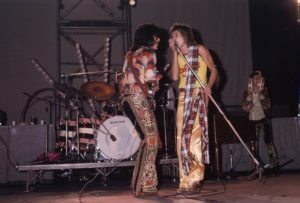 The group regularly toured Britain, Europe and the United States from 1970 to 1975, and were among the top-grossing live acts in that period. In 1974 their touring also encompassed Australia, New Zealand and Japan. 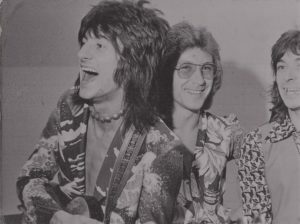 Among their most successful songs were ‘Had Me a Real Good Time’, ‘Cindy Incidentally’, ‘Pool Hall Richard' and their breakthrough UK hit ‘Stay With Me’. 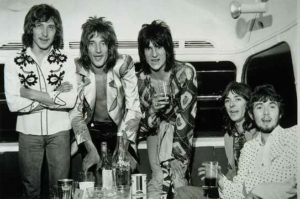 As Rod Stewart’s solo career became more successful than that of the group, the band became overshadowed by their lead singer. 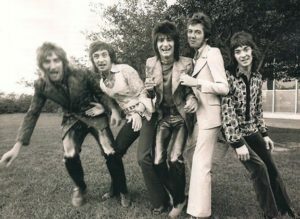 Ronnie Lane left the band in 1973 and was taken over by Tetsu Yamauchi. 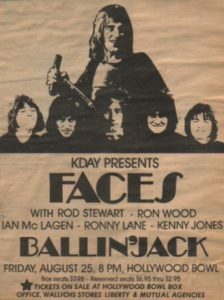 The Faces final studio album with Lane was Ooh La La, released just months before he left the band. 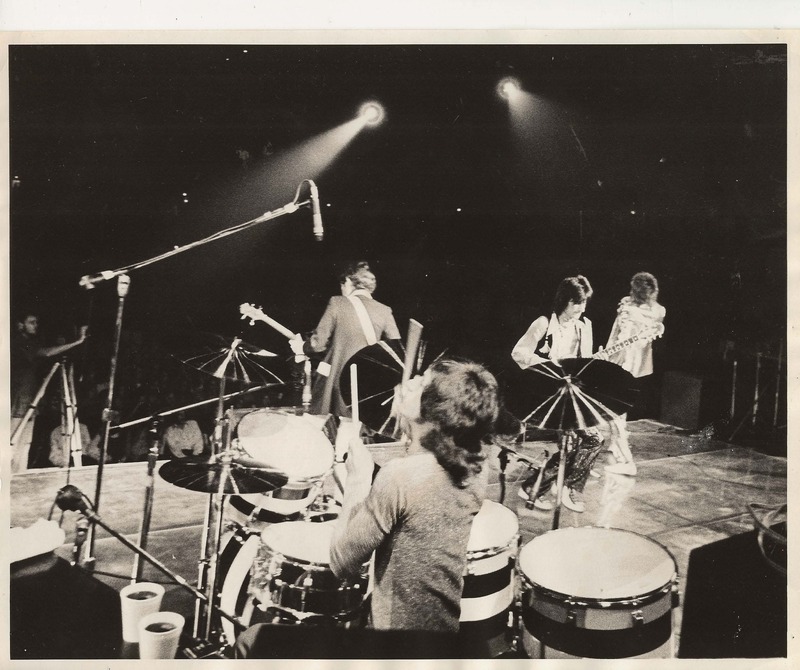 The following year a live album was released, entitled Coast to Coast: Overture and Beginners. 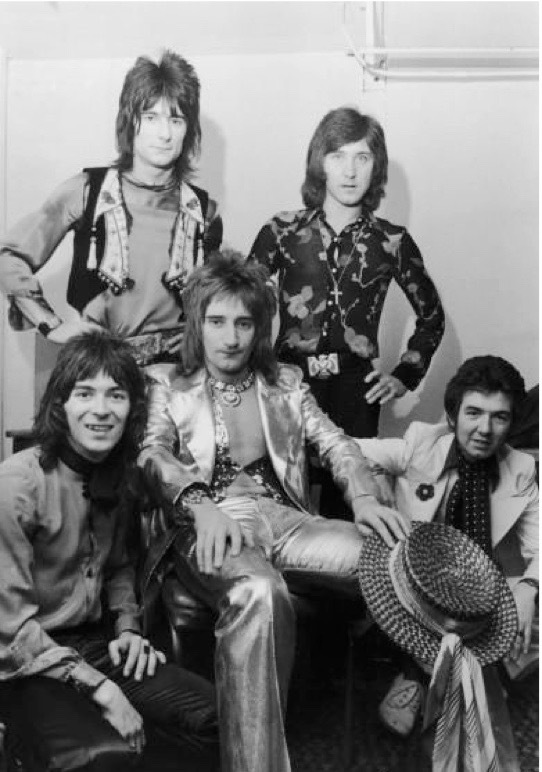 Their final release in late 1974 was ‘You Can Make Me Dance, Sing or Anything’, later appearing on their 1976 Greatest Hits Album, 'Snakes and Ladders/The Best of the Faces'. 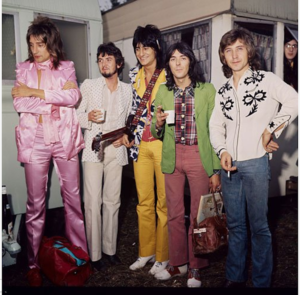 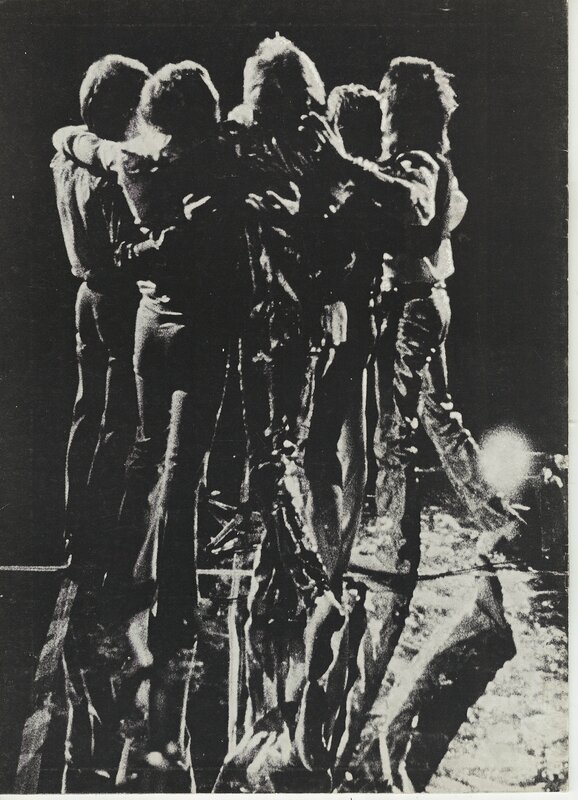 In 1975 Wood began working with the Rolling Stones, which brought differences between Stewart and the others to head and in December the band announced that they were splitting. In May 2010, the Faces announced their reformation with Simply Red front man Mick Hucknall as their guest vocalist. 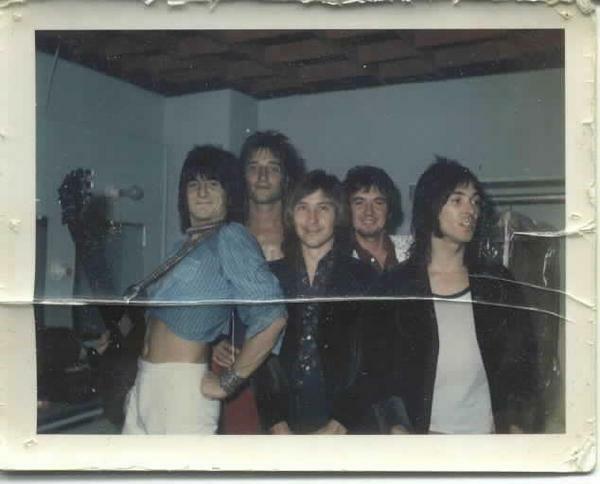 In 2012 the band was inducted into the prestigious Rock n Roll Hall of Fame alongside the Small Faces. 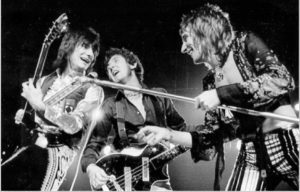 2015 saw Kenney Jones, Ronnie Wood and Rod Stewart get back together for a reunion concert at Kenney's polo club in aid of Prostate Cancer UK.